You are at:Home»iPhone»Power»Why Does My iPhone Keep Restarting? Here’s The Fix! Your iPhone keeps restarting and you don’t know what to do. We trust our iPhones and they need to work all the time. It would be great if there was a single reason why iPhones restart over and over again, but there isn’t a magic bullet for this problem. In this article, I’ll explain what causes iPhones to keep restarting and I’ll show you how to fix the restarting iPhone problem. Attention iPhone X owners: If you have an iPhone X that’s having this problem, read my new article to find out how to stop your iPhone X from restarting over and over again. If those fixes don’t work, come back and follow this guide. iPhones that restart intermittently: You can use your iPhone for a while with no problem at all, and then your iPhone suddenly restarts. iPhones stuck in a restart loop: Your iPhone continuously restarts and it’s totally unusable. The Apple logo appears and disappears on the screen, over and over again. If your iPhone falls into the second category, skip ahead to step 5. It’s impossible to do the first few steps if you’re unable to use the software on your iPhone. Let’s dive in, so you can stop shouting “My iPhone keeps restarting!” at the cat. Before we do any troubleshooting at all, make sure your iPhone is backed up. If your iPhone has a hardware problem, this could be your last chance to back up your data. If we need to, we’ll restore your iPhone in a later step, and you need a backup before you restore. If you need help backing up your iPhone, Apple’s support article has an excellent walkthrough. Like Windows on a PC or OS X on a Mac, iOS is your iPhone’s operating system. iOS updates always contain lots of fixes for software bugs and other problems. 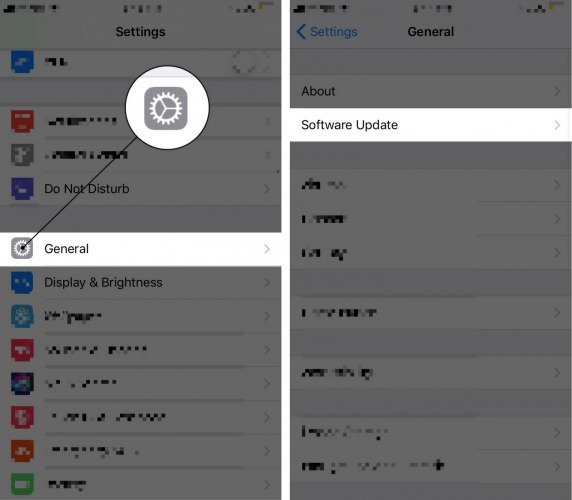 Sometimes, a software update fixes the problem that’s causing your iPhone to restart. To check if any software updates are available, go to Settings -> General -> Software Update. If an update is available, install it. You can also connect your iPhone to your computer and use iTunes to update your iPhone’s software. If your iPhone is continually restarting, iTunes might be your best bet. It’s very rare for an app to cause an iPhone to restart. For the most part, the software on your iPhone is shielded from problem apps. That being said, there are over 1.5 million apps in the App Store and they’re not all perfect. If you installed an app just before your iPhone began restarting, uninstall that app and see if the problem resolves itself. Settings -> Privacy -> Analytics -> Analytics Data is another place to check for problem apps. It’s normal to see several entries in this list. Quickly scroll through the list and look for any apps that are listed over and over again. If you find one, uninstalling that app may fix your iPhone. Reset All Settings isn’t a magic bullet, but it can resolve certain software issues. Go to Settings -> General -> Reset -> Reset All Settings to restore your iPhone’s settings to factory defaults. You won’t lose any of your apps or data, but you will have to enter your Wi-Fi password again. 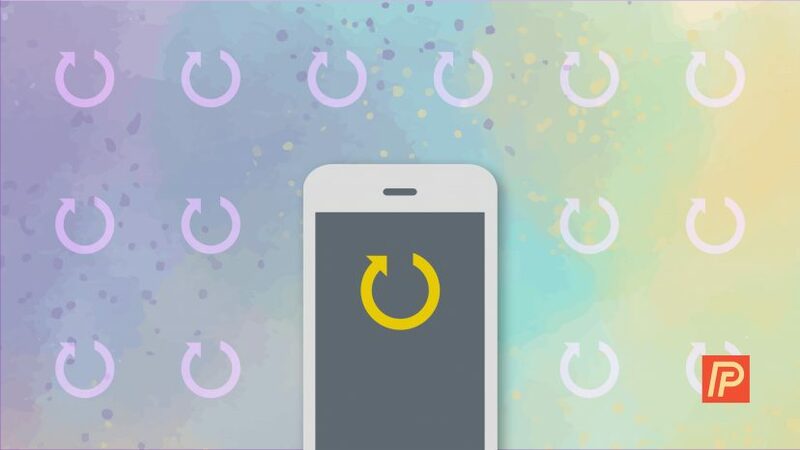 iPhones can get stuck in a restart loop if there’s a problem with your iPhone’s connection to your wireless carrier. Your SIM card connects your iPhone to your wireless carrier, so removing it is best way to troubleshoot this issue. Don’t worry: Nothing can go wrong when you remove your SIM card. Your iPhone will immediately reconnect to your carrier as soon as you put it back in. 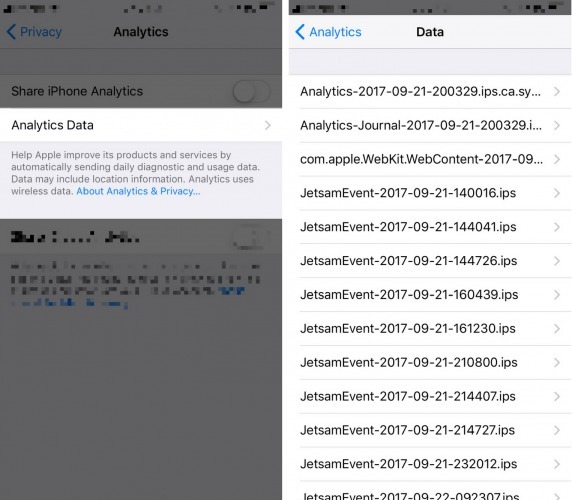 Apple’s support article about how to remove the SIM card from your iPhone will show you exactly where the SIM card is located on your iPhone. You’ll use a paper clip to eject the SIM tray from your iPhone. If removing your SIM card fixes the problem, put the SIM card back in your iPhone. If the problem comes back after you put your SIM card back in, you’ll need to restore your iPhone (step 7) or replace the SIM card with your carrier. If removing the SIM card doesn’t fix the problem, don’t put your SIM card back in until you’ve completed the next step. If you’d like to learn more about your iPhone’s SIM card, check out my article called “Why Does My iPhone Say No SIM Card?”. You shouldn’t do a hard reset on your iPhone unless it’s absolutely necessary. It’s kind of like turning off a desktop computer by unplugging it from the wall. That being said, this is one of those times where a hard reset is warranted. To perform a hard reset, hold the power button and Home button (the circular button below the screen) at the same time until your iPhone screen goes blank and the Apple logo reappears. On an iPhone 7 or 7 Plus, the buttons you need to press to execute a hard reset are slightly different. Simultaneously press and hold the power button and the volume down button. If you have an iPhone 8, 8 Plus, or X, the process of hard resetting is also different. Press and release the volume up button, then the volume down button, then press and hold the side button. Regardless of what model iPhone you have, make sure you hold both buttons down together for at least 20 seconds. People were amazed when they’d come into the Apple Store and I’d quickly fix their dead iPhone with a hard reset. They thought they did a hard reset at home, but they didn’t hold both buttons down for a long enough time. If you removed the SIM card from your iPhone in the previous step, now’s a good time put it back in your iPhone. We’ve eliminated the possibility that your SIM card is causing your iPhone to restart. Restoring your iPhone completely erases and reloads the iPhone’s software (iOS), and it can eliminate a slew of software issues at the same time. When we restore your iPhone, we’ll eliminate the possibility that a software issue may be causing your iPhone to restart — that’s why Apple techs do it so often. Your iPhone needs to be connected to a computer to restore. I recommend doing a special type of restore that Apple techs do called a DFU Restore, which goes deeper than a regular restore and can solve more problems. You won’t find it anywhere on Apple’s website — read my article to learn how to DFU restore your iPhone. After the restore finishes, you’ll be able to reload all your personal information from your iPhone backup in iTunes or iCloud. If you still have a problem, come back here and keep reading. Hardware problems are a common reason why iPhones get stuck in a restart loop. If you’re using a case on your iPhone, remove it before you continue. Look closely at the charging port on the bottom of your iPhone. Check to see if any debris is stuck inside and for signs of corrosion. If something doesn’t look right, grab a toothbrush you’ve never used and gently brush out the charging port. A short circuit or other problem inside the charging port can cause all sorts of problems with your iPhone. We’ve eliminated the possibility a software issue is causing your iPhone to keep restarting and we’ve checked for hardware issues on the outside of your iPhone. If your iPhone is still restarting, your iPhone probably needs to be repaired. If you choose to get help at your local Apple Store, make sure you have an appointment with the Genius Bar so you don’t have to wait around. A less-expensive alternative is Puls, a mail-in repair service that does great work. By this point, I hope we’ve fixed the problem that caused your iPhone to keep restarting. I’d like to hear your experience in the comments section below, and if you have any other questions, feel free to ask them in the Payette Forward Community. Previous Article“iPhone Not Backed Up” Message: What It Means & How To Remove It! Next Article How To Sync Messages To iCloud On iPhone: Here’s The Real Fix!